This week the Greenville County Council approved funding to expand the Swamp Rabbit Trail from Cleveland Park all the way to the Clemson University International Center for Automotive Research (CU-ICAR). Greenville’s popular Swamp Rabbit Trail is a paved motor-free trail, ideal for cyclists, runners and walkers. It currently stretches 18.7 miles through Greenville County, with Cleveland Park as one of its main hubs. Currently a section of the Swamp Rabbit Trail extends from Cleveland Park southward toward Greenville Technical College. 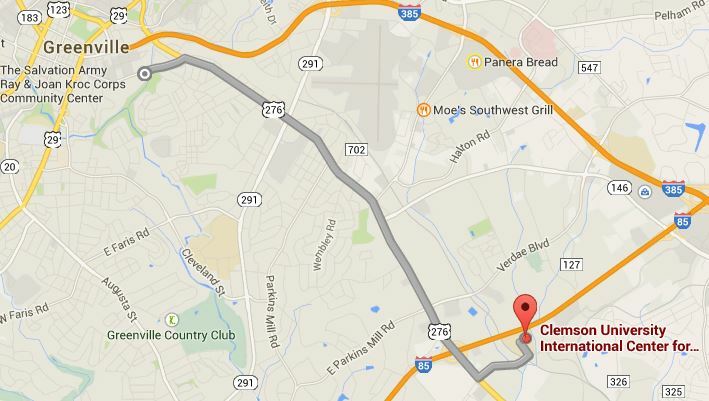 This expansion would create an additional section towards Mauldin, roughly 5 miles. The new trail would follow a large section of 276 (Laurens Road). It would also include the construction of pedestrian- and cyclist-friendly bridges near the intersections of Haywood Road and Verdae Boulevard, as well as a bridge on Laurens itself. The Swamp Rabbit Trail is one of Greenville’s most popular attractions, drawing more than 400,000 people—locals as well as tourists—each year. It tends to boost the local economy wherever it goes, which is great news for the many businesses along Laurens. You can learn more about the expansion here. Note: This potential expansion is in addition to a more ambitious plan to extend the Swamp Rabbit 40 miles through Laurens County.